We did walk through the latest sun care product of IOPE in 2017, the UV Shield Sun Protector Ex SPF50+ PA+++. Now, can’t hold back myself anymore to show you another chapter of the brand. That tends to go after our magnificence. 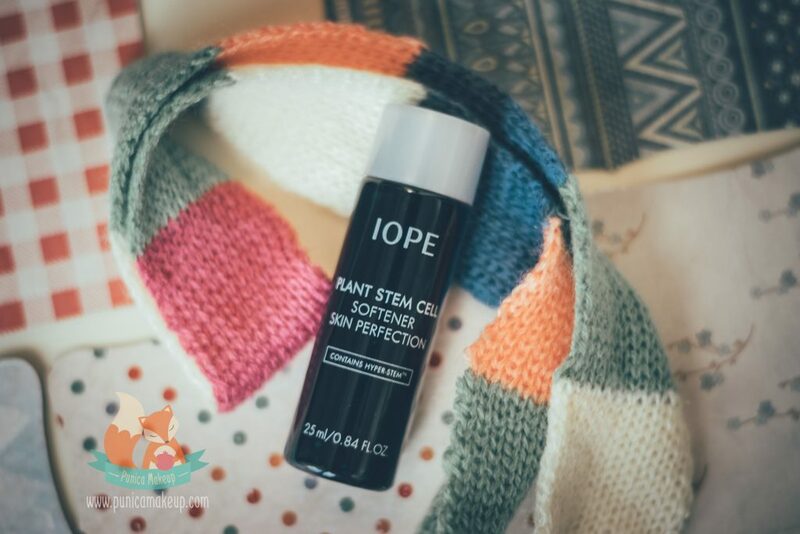 IOPE Plant Stem Cell Skin Perfection consists of toner, emulsion and cream. So, the concept is about three basic steps that provide ultimate nourishment to skin. Korea beauty has been well-known for initiating countless steps in skin care regimen as the nation’s distinctive culture. It may take all day to carry out all of them. I really admire the ageless looking skin of Korean celebrities, a glowy, flawless complexion. 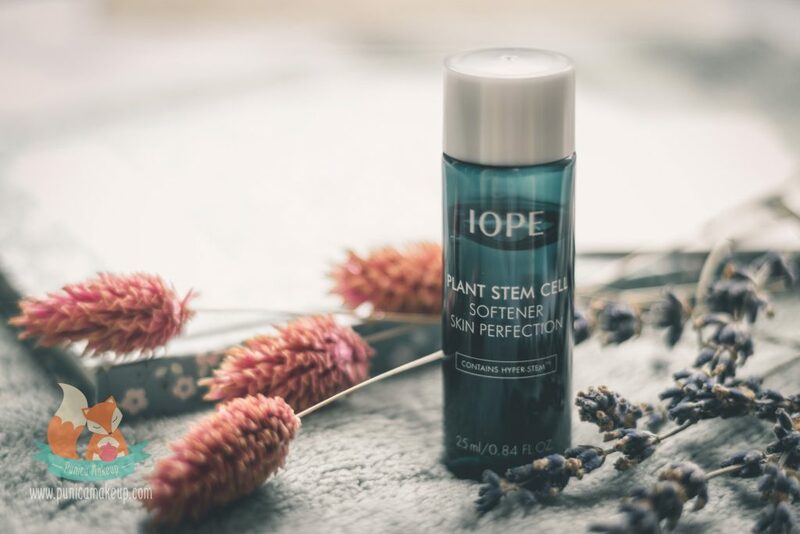 This time, I’m gonna share an open review of the IOPE Plant Stem Cell Softener Skin Perfection as toner of the product line. Let’s be patient to explore more interesting things hidden in the whole series. The most flattering part is the plant stem cell binding in its’ name. Perhaps, some of us haven’t been in-the-know yet. Then, what is it special about to make wonders that genuinely complete “the mission impossible” of an impeccable, youthful skin. That’s no longer to be unreachable. Stem cells are a group of undifferentiated cells belonging to multicellular organism as an aggregation of cells that work in same way to form a tissue or an organ of plants and animals. At the same time, they’re capable of indefinitely dividing to create more cells of the same class as well as differentiate into specialized cells of certain other types. Plant stem cells are found in the meristem of vegetation. Similar to human stem cells, they constantly carry out the renewal and growth of tissues and organs. Regard to skin stem cells, which are responsible for skin’s self-repair throughout our life cycle. However, getting older and inevitable exposure to external aggressors interrupt and slow down their regenerating process. Plant stem-cell technology has triggered an innovation in advanced cosmeceuticals to provide effective treatments over skin’s culprits. For supreme ingredients, plant stem cells are professionally cultured in labs to stay away from pesticides and environmental stressors, such as low humidity, harsh temperature, dirt, pollution and harmful UV rays. 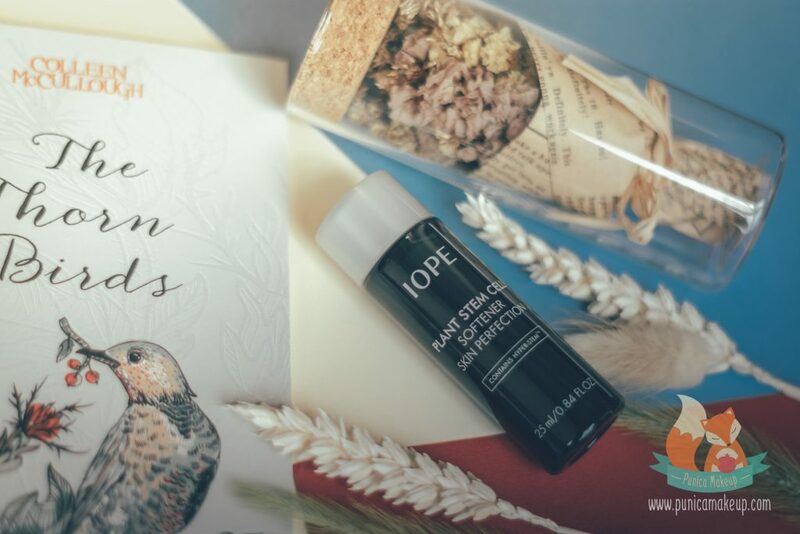 Then, topically applying product infused with plant stem cell extracts tends to vigorously stimulate the self-restorability of skin outer layer’s stem cells. As antioxidants, they fight against aging, damaged signs for a healthy, lively look. So, The softener consists of plant stem cell derived from Hypericum, Hyper-StemTM. That enhances the protective barrier on the upper layers of skin and adds up age-defying properties to combat oxidative stress or free-radicals. Also, it includes extracts of many other plants to nourish and revitalize skin. Moreover, there are numerous chemical compounds for conditioning and viscosity reducing agents. That brings about nice, velvety texture and allows easy absorption. Formulated with glycerin, which boosts skin hydration to lock in moisture. Additionally, it contains chemical preservative, fragrance and alcohol, such as phenoxyethanol. In addition to wrinkle care elements, the softener is inclined to brighten up the complexion. Gotta say the toner has a gel-like base which is very watery; but not runny at all. There is no need to worry about clogging pores or heavy, thick feeling. This is not like a plethora of Korea toners that I’ve tried before. Most of them are liquid; typically get couple of drops into a cotton pad and wipe it all over my face. Otherwise, spray directly onto skin. Well, the softener is still imperceptibly sticky so I take few drops onto my hand and use fingertips to apply and gradually blend out. Then, gently pat upon the surface for more absorption. Just a few seconds, it’s genuinely like water, promptly sinks down into skin layers without greasiness. My skin literally feels refreshed and hydrated. 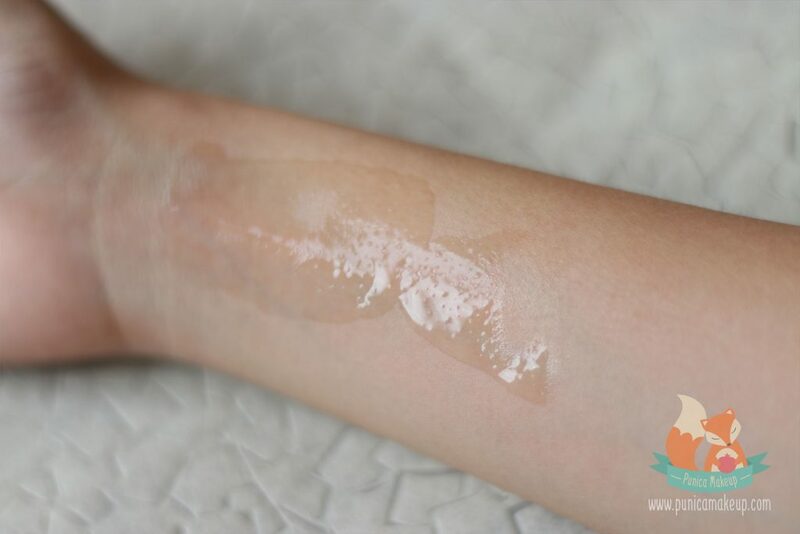 However, the product is not something that you can expect to solely moisturize your skin all day. This is merely a first step to kick off the nourishment process. Apply emulsion or cream afterward to ultimately replenish skin. It’s hard to describe precisely how well the toner is beneficial and brings changes to my skin. But, I’d say this is very rich in nutrients and has good quality rather than lots of toners on the market. To see prominent improvements onto the complexion, you gotta use the softener with the emulsion and cream. I’ve used it with the emulsion in the morning for 2 weeks. Honestly, my skin look brighter and smoother than before. That’s really fantastic, the dullness upon my skin significantly reduce. A healthy radiance has come back to my complexion. Absolutely, there is no flaky, scaly sensation or dry patch at the end of day. I’d be so ecstatic to advocate these products to those who have dry, combination, normal and especially, mature skin types. In terms of sensitive and acne-prone, I’m quite uncertain and afraid about its’ included alcohol and synthetic fragrance. They’re more likely to aggravate the skin sensitivity and irritation. The toner literally has a strong floral odour I can tell. That is reason why I gotta take some day gaps when using it for sure, I won’t take any allergic reactions. If dollies with sensitive and acne-prone skins insist trying the toner, I may highly recommend to apply its’ small amount with one or two days off in the middle and then, come back. This helps to avoid unnecessary bad reactions to your skin. By the way, too much nutrients accumulatively fed to skin can also cause its’ stubborn “indigestion” due to “over-indulgence”. So, take time to let your skin adapt with the new condition. I think it’s gonna be great if your skin can get along with the toner, it has potent formulation to deliver superb nourishment. Plus, the product is claimed to have sun protection. It means to gain more strength onto the barrier function with active compounds against environmental invasion. Unfortunately, I don’t have the full size supposed to be 150 ml. The toner comes to a big glass bottle with dark, navy color with a pump. It’s really mysterious and deluxe. Otherwise, speaking of the mini size of 25 ml, which is completely different with a sort of cheap packaging. I did try my best to take good-looking pictures of it. Plus, this is relatively uneasy to take the toner out from a small plastic bottle when it persistently gets stuck at the bottom. Well, this is convenient for carrying around in travel; whereas the full size is big and heavy. Admittedly, the softener is made of extraordinary ingredients and technology for a flawless looking skin. Its’ texture and gel base are nice as well. However, I don’t like some elements, including alcohol and fragrance that are not good in long-term for skins, particularly delicate. I’m gonna give it 8 out of 10. 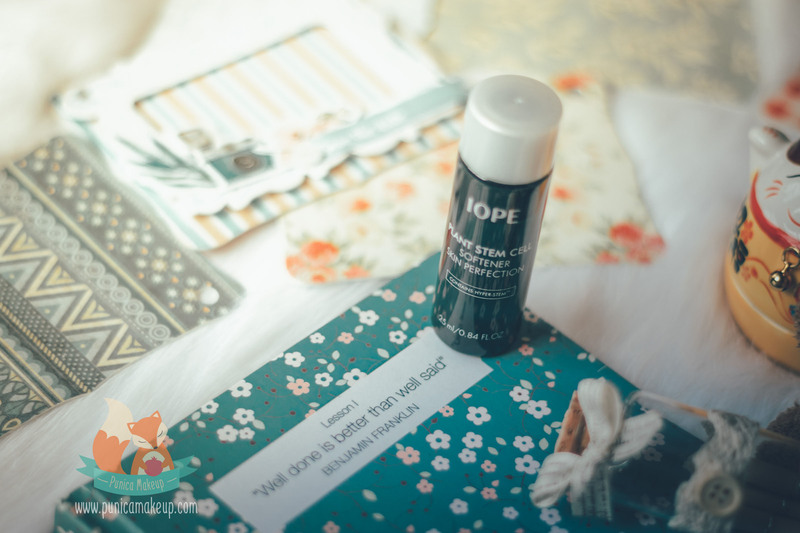 Hope our dreamers find this review helpful and informative about the IOPE Plant Stem Cell Softener Skin Perfection. If you have any questions or ideas, please let me know. I’d love to hear you out and try my best to give more interesting posts. Thank you so much for joining us!